Till 8 Apr 2018 You can now view beautiful cherry blossom in Singapore without flying to Japan! 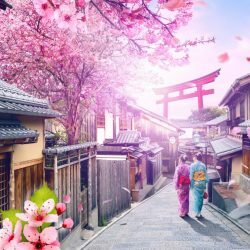 Is viewing the beautiful sakura on your bucket list but too broke to fly to Japan? Now you can view real cherry blossom at Gardens By the Bay from 16 March to 8 April 2018! There's even free anisong concerts, celebrity cosplayer appearances and Pikachu dance parade! 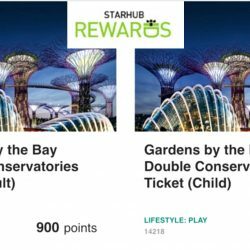 From now till 19 June, bring your kids for a fun family day out to Gardens By the Bay Flower Dome and Cloud Forest with just half the StarHub Rewards Points! 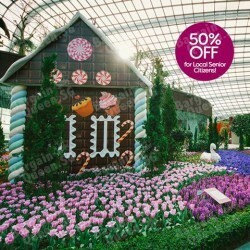 Redeem tickets to Gardens by the Bay at 50% Off Points at just 500 and 900 StarHub Rewards Points for a child and adult ticket respectively. Hurry, limited tickets available! Gardens by the Bay has something that will appeal to everyone, whether it’s the stunning floral displays in the Flower Dome or the exotic plants on the 35-m tall mountain in the Cloud Forest! Now bring your family and friends there with your NTUC membership and get 1-for-1 Admission to 2 conservatories from 1 May to 30 June 2016! 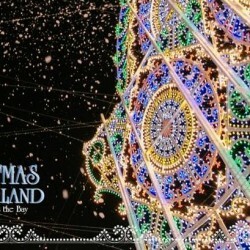 Experience an unique Christmas Wonderland right here in Singapore! Happening from 27 November 2015 to 3 January 2016, dun miss this event! Mid-Autumn Festival celebration is not over yet! Celebrate Mid-Autumn Festival at Gardens by the Bay with a host of events, performances, fireworks display and lots of savings for the whole family! Seniors and kids get to enter the conservatories for free from now till 4 October 2015 ! There's no better time to visit the Gardens and spend time with the entire family! 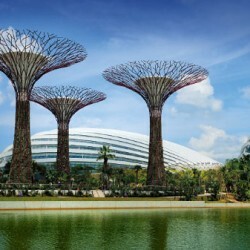 If you have not been to Gardens by the Bay, or if you love to be surrounded by nature, head there during the Jubilee Weekend! 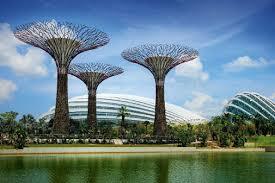 Singapore's 50th birthday celebration comes into bloom at Gardens by the Bay! 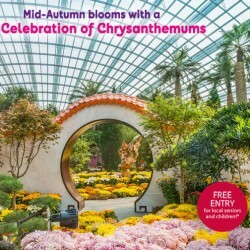 Enjoy a host of offerings including a brand-new orchid floral display showcasing Singapore stories, a SG50 edition of the Garden Rhapsody music and light show, and special ticketing deals. 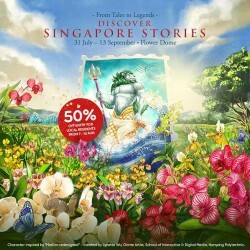 In conjunction with SG50, being one of the newest local attractions in Singapore, Gardens by the Bay is having a series of awesome events as well as special promotions for our people. A series of events includes Garden Rhapsody, Planet Ocean, Flowery Fun Times Garden Trail and many more! 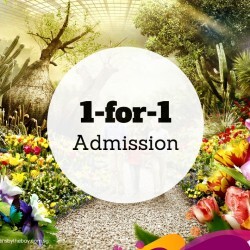 At this time of June holiday, Gardens by the Bay is offering family package at the price of $50 (usual price $64), which allows entry to both conservatories for two adults and two kids! Offer lasts from Saturday, 30 May to Sunday, 28 June 2015. Locals aged 60 years and above get 50% off weekday admission tickets to the Flower Dome and Cloud Forest at Gardens by the bay! Terms and conditions apply. Valid from 5 May to 30 June 2014. Promotion is only valid for on-site purchase . Promotion is only valid for local residents. Includes admission to both conservatories.